A new and exciting website and I hope you enjoy it ! Our mission is to raise funds and awareness to ensure the safety, security and survival of this keystone species at the world’s largest rhino orphanage, Care for Wild in the Mpumalanga Province of South Africa. 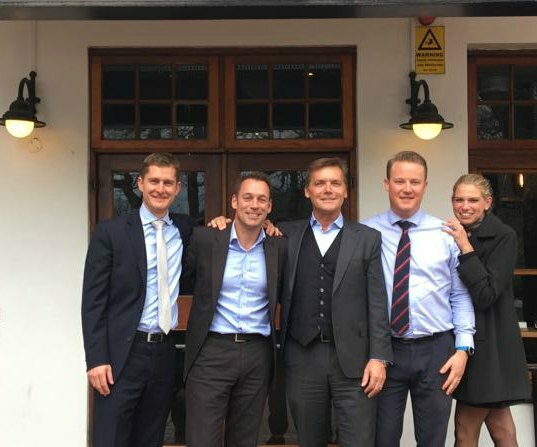 Warwick Wealth’s CEO, Ian Kilbride and the General Manager of Asset Management, Adrian Meager took Warwick Private Clients new style Senior Wealth Specialists to lunch to celebrate their elevation to their new positions and its great benefits! From left to right: Conrad Clifford (Warwick Durban), Adrian Meager (GM Asset Management), Ian Kilbride (CEO), Gareth Milford (Warwick Cape Town) and Natalie Wood (Warwick Johannesburg). I have known Mike Greeff for many years, in fact I was once his landlord at the Alphen Estate. That was until Greeff outgrew the space that we, Warwick Wealth, had available as we too were expanding and requiring more square meters. 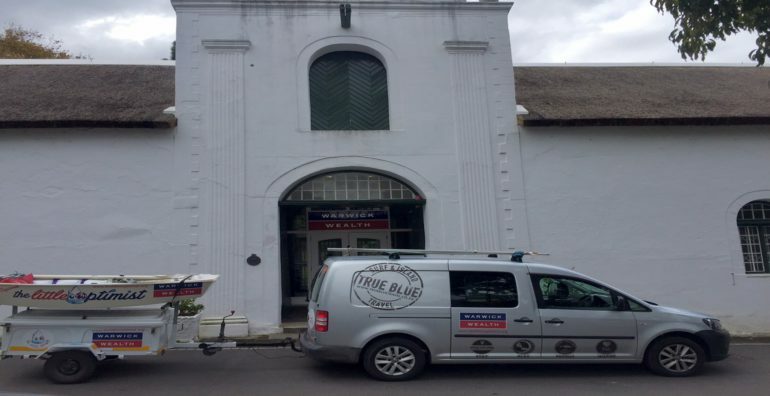 You could therefore say that our two businesses, Greeff Property and Warwick Wealth, grew up together, even sharing facilities and staff, both then and now. The similarities between these two companies, despite being in totally different fields, can be distilled down to three simple factors. 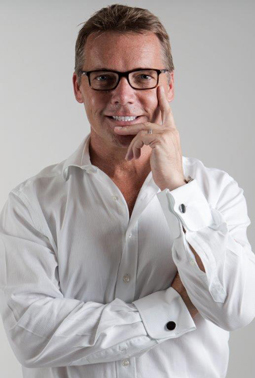 Firstly, a clear vision, secondly the energy and drive of everyone involved in the company, from the CEO’s down and thirdly a total commitment to client service and the delivery of what clients require. I suppose, or I would at least like to venture, that you are probably as bored hearing about Donald Trump, Brexit, the set of European elections and the ‘always’ pending political changes in South Africa, as I am? The overarching question though is when and why did such seemingly huge and important political moves and machinations become so dull and repetitious? 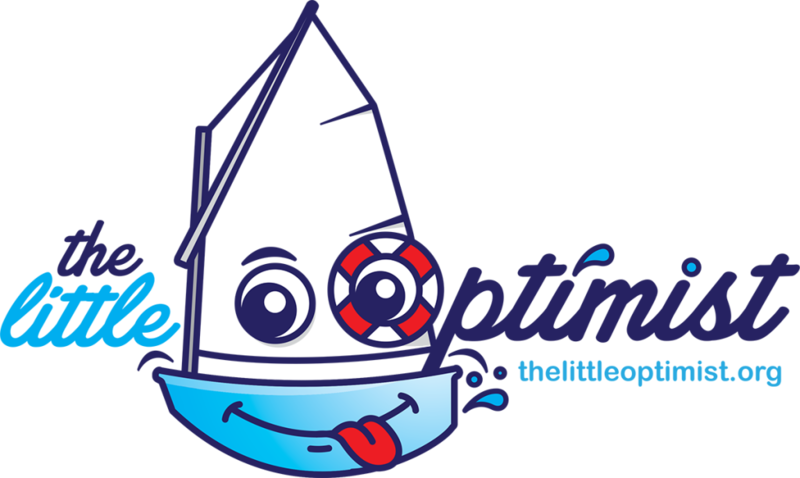 Warwick Wealth are proud to be a part of the The Little Optimist’s incredible journey. Greg and the Little Optimist’s journey began in Cape Hangklip across shark invested waters of False Bay around Cape Point and the Cape of Storms to Cape Town City via Robben Island and Dassen Island to Saldanha and then finally ending the journey in Langebaan Lagoon (the home of the Little Optimist). The journey, over 200km in the open ocean along one of the wildest and most dangerous coastlines in the world, and they did it. ‘A little believer with a huge heart’. All funds raised for the benefit of a new Paediatric Intensive Care Unit at the Red Cross Children’s Hospital. I was born in Warrington in 1962 and moved to South Africa in 1990. I arrived here having driven for seven months from London but fell in love with the country and the people and decided to stay. In 1994, I decided I wanted to do something as a memory to my sister Louise, who passed away at only 19 years old. I also wanted to give something back to South Africa, which I felt had been very kind to me. 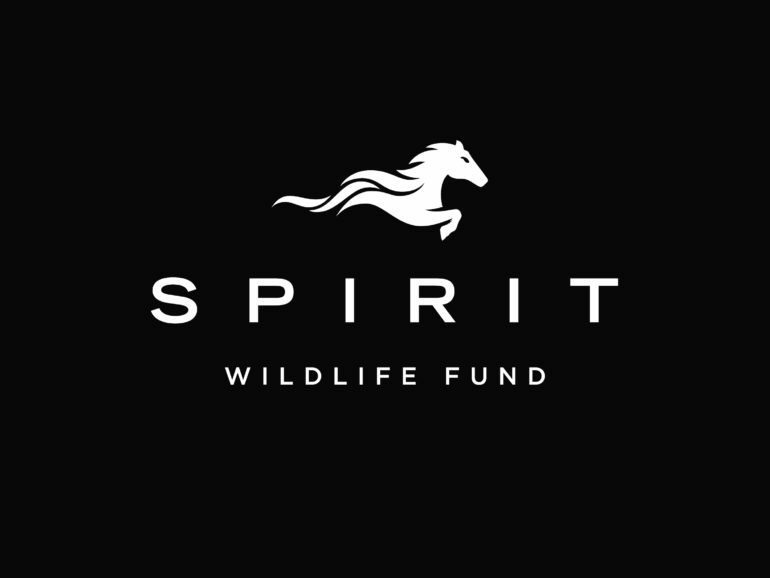 I therefore approached Tessa Smit who I knew was retiring as a school principal and asked her to help me form what is now the Spirit Foundation. When we started we even assisted pre-schoolers and over the years have slowly evolved to the point where we decided to focus entirely on high school scholars. 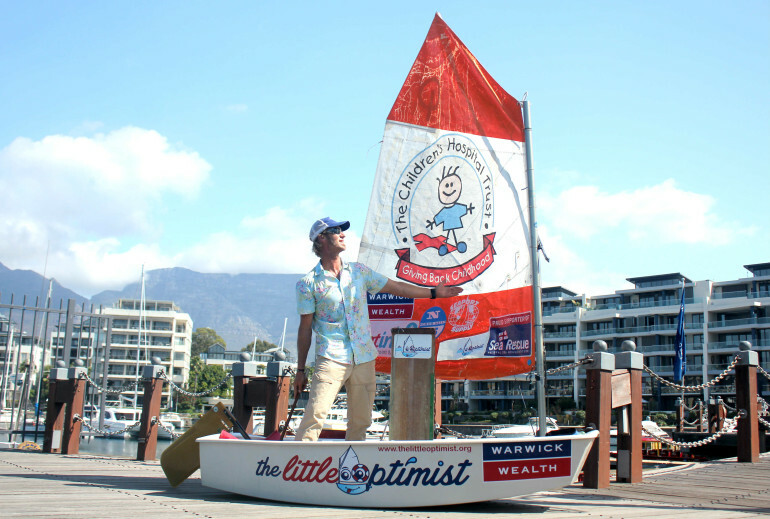 Warwick is sponsoring ‘The Little Optimist’ and Greg Bertish on their special journey from False Bay to Langebaan. All the proceeds are for the benefit of The Children’s Hospital Trust, for the new Red Cross Hospital Intensive Care Unit. The Aim: ‘To save children’s lives by inspiring them to get better, to teach them a skill, to create a passion and to raise funds and awareness for the CHILDREN’S HOSPITAL TRUST and the new Red Cross Hospital ICU. We wish Greg all the best on his journey and Warwick is proud to be associated with such a heart-warming project. Warwick Wealth is celebrating its 15th year of support for bowls in South Africa. At a recent event in Johannesburg Ian Kilbride spoke about the long standing relationship enjoyed between Warwick Wealth and the sport of bowls, this was broadcast during the South African Masters which was held over the weekend of 12th – 14th February. In January 2016, Warwick announced a new deal which maintained the superb level of sponsorship at a national level but also introduced the best club support ever offered during the longstanding relationship. This deal is being rolled out in all bowls clubs by the four full-time Lifestyle Network Managers who work from their Warwick offices in Johannesburg, Durban, Port Elizabeth and Cape Town. In addition to the ongoing national sponsorship of Bowls South Africa and the sponsorship of clubs with Warwick clients as members, Warwick also announced its new Platinum Client deal for all bowlers who are investment clients of Warwick. The long standing relationship between Warwick Wealth and Bowls in South Africa is secure for many years to come. 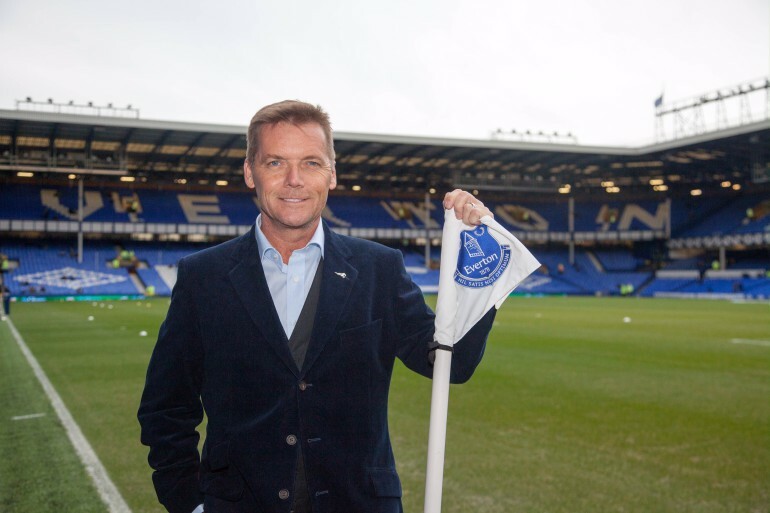 On a recent trip to Liverpool, Ian Kilbride, CEO and Chairman of Warwick Wealth and Chairman of the Spirit Foundation, visited Goodison Park, Everton in the Community (EitC) as well as the Everton Free School. Everton in the Community has done some excellent work in looking after the elderly, sick and also those from disadvantaged backgrounds. Warwick Wealth has attempted to assist them through the purchase of tickets to Everton games which have been utilised by very deserving cases. Ian met with Carena Duffy who is one of numerous people who have made EitC such an amazing success, in addition he met with Richard Cronin the principle of the Everton Free School. The Everton Free School basically assists youngsters who have had troubled childhoods and struggled to stay within the usual school system, fabulous success has been had in assisting these young people to conclude some kind of education and thus go on to other forms of tertiary education or simply find themselves a job and a regular position in society. Ian Kilbride and Richard Cronin have agreed to find a suitable project that Warwick Wealth can sponsor at the Everton Free School on an ongoing basis. 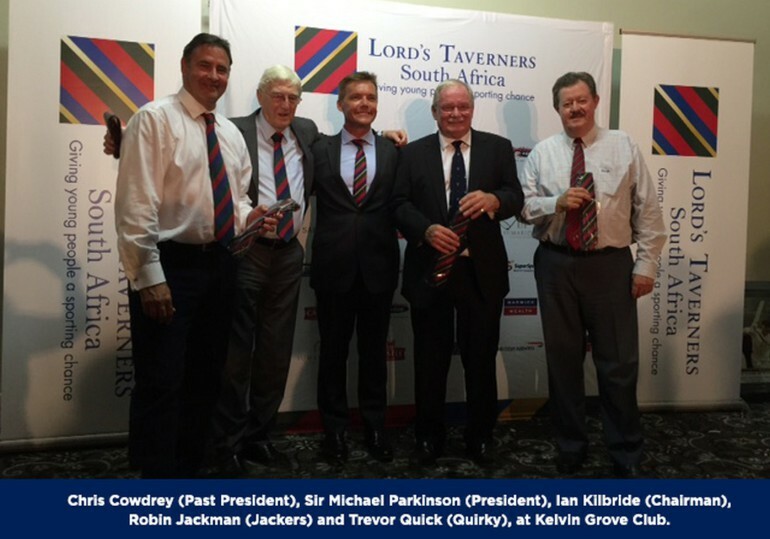 The South African chapter of the Lords Taverners were successfully launched in Cape Town recently and SuperSport were there to cover the event and interview several of the key players involved, Michael Parkinson (President UK), Ian Kilbride (Chairman SA) and David Ralph (CEO SA).